Me. In Jakarta. Running. Bliss! Anyone who has ever followed my writings on myindo.com during its heyday will have half a clue how much I love Indonesia and its popular culture. So recently when I had the opportunity to merge my youth day fascination with my latest passion of running, it resulted in me joining one of the most spirited groups of runners I had ever met: the @IndoRunners. 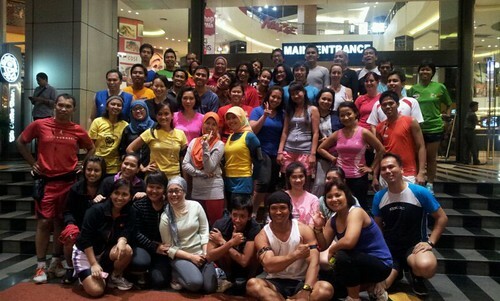 IndoRunners consist of both veteran and newbie runners in Indonesia who congregate weekly to run in different locations like Jakarta, Bandung and Bekasi. I happened to be in the Indonesian capital city that one week and my timing couldn’t have been more apt. I knew IndoRunners held short night runs every Thursday in Jakarta so I took a chance and made a last-minute announcement to a blogger friend and new runner, Ninit, that I would be joining her and her comrades. What added more spice to my ad-hoc running plan that Thursday evening was WWF Indonesia holding a press conference at the Bloeming Cafe in fX Mall (where the runners normally met) to promote a wildlife conservative and awareness campaign called Run Rhino Run. The campaign aimed at saving the nearly extinct Javan Rhinoceros species in Indonesia, and to help do that the wildlife NGO is holding an online contest to pick 50 runners to run a 10km trail route in Ujung Kulon National Park on 24 June, all expenses paid. No, I don’t think it meant running with the rhinos. If anyone did, I’m pretty sure they’d all break their personal records in no time! While waiting for Ninit, I was persuaded by my own posse of pals (who were absolute darlings to accompany me to the mall) to sign my name on the guest list at the welcoming table of the press conference, which I did. I chuckled when they handed me my complimentary drink: a can of grape-flavored body coolant drink, and the brand carried an illustration of a rhino! How appropriate, given the theme of the night. So the press conference started at 7pm and they first showed some documentary video clips of the nearly-extinct rhinos while giving facts and statistics about the animals. After that we were entertained by an acapella group whose CD I happened to also own and like, Jamaica Cafe! These guys were amazingly talented and entertaining. I even remembered a piece of trivia I once read about them a while back: they decided to be an acapella group after always getting their musical instruments stolen during band practice. Tired with having to deal with missing equipment, they resorted to making sounds of their bass, drums and other accompanying tunes using only their voices. Pretty neat. The moment of truth finally came at 9pm and it was time to head out of the cafe for some warm up sessions before we went pounding the pavement. By this time I had already discovered and hugged Ninit as well as befriended a few other ladies, namely Yustina and Crey. In my eagerness to stash my belongings away but feeling dismayed when I could not locate my 2 accompanying friends who went MIA for dinner elsewhere, my new friend Yustina kindly offered to stow away my things in her car, but I managed to get my “porters” back to Cafe Bloeming so that they could hold on to my stuff as we had originally agreed. (Thanks though Yustina for your offer). I was excited to embark on my first official run in Jakarta. But first, photo sessions! There must have been more than 50-60 of us in front of that mall, conquering the area for a few group shots – it was almost ridiculous but incredibly fun. Warm-up was led by a beefy guy who strapped on two blinking head lamps on his burly biceps (he later introduced himself to me as “Beng Beng” but I was pretty sure he was kidding). Afterward a lanky fellow was declared captain and thus led the run start from the front of the mall. The run was on! Now, one of the first things that people joke to me about running in Jakarta is how bad the air pollution is and that I’d probably have trouble breathing. That afternoon prior the run however, it rained heavily and I guess that helped to clear some of the smog and bring down the temperature some, so the air that night was actually quite pleasant and cool. The sky was clear too and I remembered seeing the moon. To help with the first street crossing, one senior runner in the group stood with a blinking night stick and helped to stop cars to let the majority of us cross safely. As I crossed, I ended up on the pavement that was parallel to Jalan Jenderal Sudirman. I had to dodge the usual obstacles of the urban running landscape: stunned-looking commuters waiting for their buses, uneven pavement tiles, the occasional puddle, the concrete beam that supported a pedestrian bridge crossing, and a metal stump where a road sign used to be. Coupled with the darkness of the night and the unfamiliarity of running in new territory, my senses were on high alert and I chose to run sans-earphones. My main motive to run in Jakarta was really to socialize as well as to see the things that the typical IndoRunner would see every TNR (Thursday Night Run), so I took the pace much slower than my normal pace to keep abreast with Ninit and Crey. Crey was interesting – she used to be a runner in university but had long abandoned the sport but decided to pick it up again. I assured her and Ninit that I didn’t want them to shoo me away to go faster, I just wanted to be in good company so we pretty much kept together. About 280m into the run we started to veer left and into a park area that had a half-locked gate. There was barely an opening so all of us squeezed through. It was quite dark in this area onward so I really paid attention to where I was going in the Senayan area. I could see Beng Beng with his muscular arms adorned with the blinking red lights up ahead so I knew I must be going the right way. The pathway eventually brought me past a lit-up park where people were practicing softball, and then we came upon the entrance to Gelora Bung Karno (GBK) Stadium (where Lady Gaga was scheduled to perform that same weekend but got canceled due to protests from a certain religious group). Upon entering the compound of GBK I decided to leave Crey for a while to find out where the heck the other runners went for I did not see any from our group. I ran around the stadium perimeter but I panicked a little because I hated not knowing where I was going, I had lost Ninit who had picked up the pace and ran ahead (we lost Yustina eons ago, the road runner), and Crey was still behind me somewhere. As I was looking around in alarm, I saw a familiar petite figure and recognized her as one of the leaders of the IndoRunners. I heaved a sigh of relief and jogged up to her and realized that she was doing sweeper duties – checking for the back of the pack runners to make sure everyone was accounted for. I introduced myself to Miss Petite and then learned that her name was Pipin. She was a runner alright, running a pace that was fast enough it had me heaving sentences in chunks of words. Pipin had only started running 6 months ago but had already run races outside of Indonesia and even planned to participate in an ultra marathon. She was an inspiration to me for sure. When she knew I was Malaysian she quickly introduced me to another fellow Malaysian named Vincent when we reached the end of the route. He looked like he had just walked out of the shower with his running gear on, the guy was thoroughly soaked, making me wonder how many rounds he actually ran around GBK. I didn’t get to talk to Vincent much, but if he ran with the IndoRunners that meant he was either in Jakarta often, or that he actually worked there. Some more photo sessions at GBK was called for (these folks sure love photos), and then from there we completed the loop back to where we started at fX Mall. Whilst heading back there I befriended another friendly chap (I am sorry I forgot his name) and of course when he heard I was from KL he said something about wanting to run in the Penang Bridge International Marathon in November. Great! As we came back into full circle to the front of fX Mall which probably totaled 4km tops, we sprinted as there were more photo sessions (I’m beginning to think this is really a photo session masquerading as a night run), so a few more cheesy poses and flashy smiles were spared for the shutters. Beng Beng then led us all in a cooling down session and as he finished off with a 30-second hold squat that made everyone writhe and scream in agony, everyone clapped and whistled rowdily to end the night routine. Then suddenly I heard someone loudly asking, “who’s from KL? 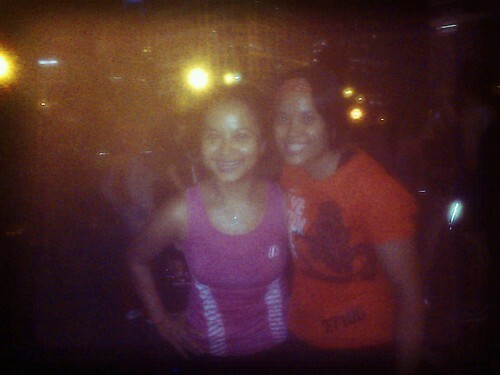 !” I raise my hand enthusiastically and pointed to my “We Run KL” Nike technical t-shirt, grinning. A few of the guys were intrigued and one by one introduced themselves to me. I remember in particular an elderly gentleman who proudly announced to me that he was going to run the full marathon in KL this June. Wow! I congratulated him and wished him well, and then shook a few more friendly hands, including those of a young guy who used to attend university at UTP in Perak. This is what I love about Indonesians, they’re so super friendly they make you smile till your cheeks ache for days. Malaysians could take a lesson or two on hospitality from our Nusantara brethren. Well that was pretty much how my running session with the IndoRunners group went in Jakarta. I happened to also be in Bandung that same weekend and had wanted to sneak in an outdoor running session there too but because I was scarce for time I could not fit it in. Pipin had introduced me to a local runner there so hopefully I can get around to running in Bandung one fine day. So what did I think about IndoRunners? I think they’re fantastic, they certainly have the welcoming spirit that’d make any new runner not think twice about joining the sport. If you think running is fun, IndoRunners elevate it to an entirely new level and experience. If you’re ever in town and are looking for some running buddies, the IndoRunners will do more than accommodate you, they’ll embrace you through and through. Brothers and sisters in Indonesia, I salute you and it has been a pleasure and honor running with you. I hope to do it again! With Miss Pipin, powerful and petite! @runfairyrun @inicrey @josephinepipin @IndoRunners @istribawel @hadiaase wow, thanks Fairy, nice writing, love it! 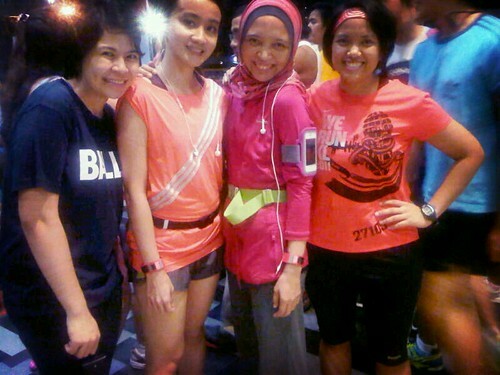 @yustina @runfairyrun @IndoRunners @istribawel @rhinocare Aduh you all so good at menggoda I lah. My heart longing to come back & run w u!